Your pet’s health is important to us. We will be continually updating this section to contain useful pet care tips, as well as information on diseases and preventative care for your pet. We feel that the following, although it is called A Dog’s Plea, can be used to describe any revered pet that has become a member of the family and is truly loved as such. We hope that it will mean as much to you as it does to us. Keep my pan filled with fresh water, for I cannot tell you when I thirst. Feed me clean food that I may stay well, to romp and play and do your bidding, to walk by your side, and stand ready, willing and able to protect you with my life, should your life be in danger. 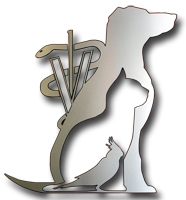 If you have question about the health of your pet, call Downers Grove Animal Hospital at 630.968.2812.